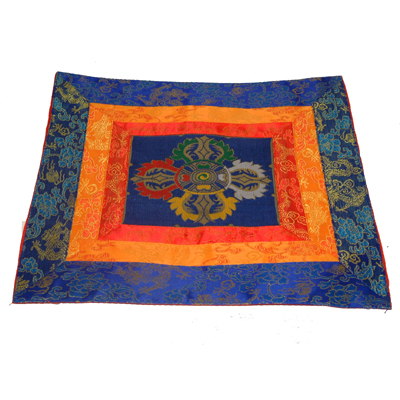 An attractive silk brocade temple cloth in a "Double Dorje" design. Ideal for singing bowls, statues and other ritual items. Size: 42 x 42 cm.